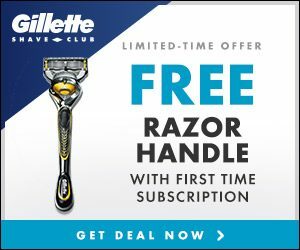 Create an account with Gillette and receive email newsletter and exclusive coupons. First time subscribers are eligible to receive a FREE Gillette Razor Handle. FREE AXE or Dove Products from XY Stuff!